Water wells are a great asset to any home in Oakland County. You can install them so that your family gets clean drinking water that you own and control. You can even have one just to give your property a better irrigation system. In any case, to set up your water well, you need to work with a professional well drilling company that drills water wells in Oakland County. Well drilling companies can use many methods to drill your well. For water wells, it depends on the depth you need to drill to reach the water source. Your terrain will determine the type of drill used. For example: if your property in Oakland County has granite bedrock below ground, professionals will need to use a powerful drill. One that has enough torque to get through that bedrock. However, if your aquifer is not that deep and all that remains in between is a layer of soil, professionals can use a much lighter drill. The more powerful drills will work faster, but they’re more complicated to set up because of their size. Lighter drills are more compact and their use is more straightforward. When water well drilling professionals go to work, they will usually mount these rigs to the back of a truck. Often, an 18-wheeler is used for bigger drills, or a regular pick-up truck for lighter drills. These, by the way, are not regular drills. They are not meant for everyday use, but rather, specifically for well drilling use. Most of the time, the fresh water supply for a residence can be found twenty meters deep. But in some cases, it might be hundreds of meters deep. Shallow wells are often dug with techniques like jetting, sludging, or hand percussion. Professional water well drillers can also use these drills to dig a geothermal well. This is a form of water well, but one made to supply water to your geothermal heating system. They can be used as an environmentally-friendly alternative to natural gas or oil. You get a personal water source while also doing your part to help out the environment. While not uncommon, it is nonetheless a great option for homes in Oakland County to consider. Not only is it a viable alternative to tradition cooling and heating systems but it’s more efficient as well. Regardless of whether you want a geothermal well to supply your home or office with water, or you want a traditional water well on your property to give you fresh drinking water, you can work with professionals to help you figure out which system and which method of drilling is best. Knowing what you want will help to determine the time and cost of such a project. 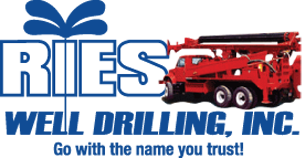 If you want to know more about getting your own personal water well drilled in Oakland County, get in touch with Ries Well Drilling. They’ve been providing water well drilling in Oakland County since 1983. Contact them today.